We are committed to focusing on your oral and overall health. This means decreasing inflammation. 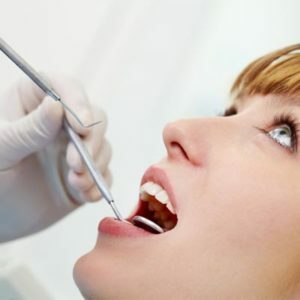 When you have active periodontal disease, routine home maintenance and teeth cleaning is not enough as it generally focuses on areas of the tooth that are above the gum-line. A regular scaling and root planing procedure removes plaque, tartar (calculus) and bacterial toxins (biofilms) from tooth surfaces below the gum line. That is why at Welcome Smile Dental, we make sure that you are on a twice-a-year – or possibly more, depending on your individual health needs – frequency of maintenance and/or preventative care schedule. In order to find appointment times that fit with their busy and active life styles, most of our clients pre-schedule their next visit. We will remind you by either a phone call or an e-mail that it is time for your next preventative care visit. Regular periodontal and preventative maintenance visits help us break the stronghold of bacteria in your gums and slow or eliminate their destructive effects. Regular removal of tarter (calculus) and bacteria (biofilms) are crucial to treating gingivitis, controlling periodontal disease and preventing tooth decay. How do we accomplish this? In addition, we can add a medicated solution to the water to treat any infection and aid in healing. Call Us at (403) 261-8855 to book your Hygiene Teeth Cleaning appointment today!